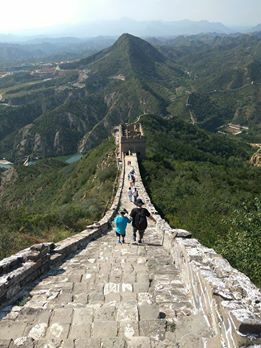 You are at:Home»Things to Do»Travel»Day Trips»Cement and Sticky Rice: Where Is the Real Great Wall? 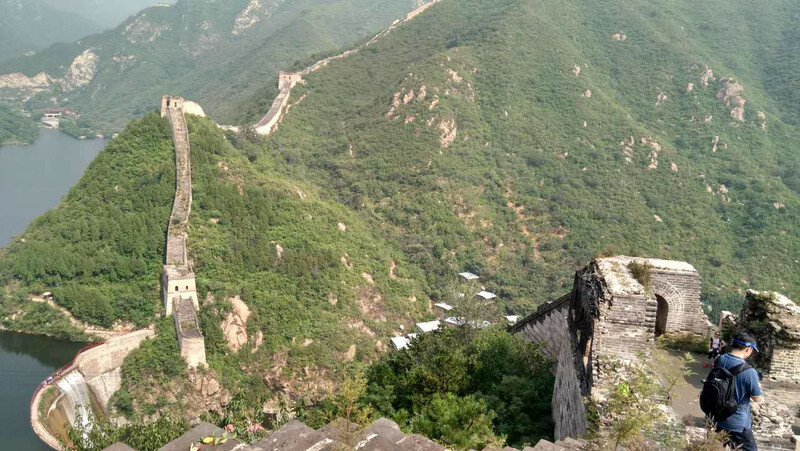 Cement and Sticky Rice: Where Is the Real Great Wall? The controversy has drawn attention to the challenges of maintaining a cultural relic which is thousands of miles long. 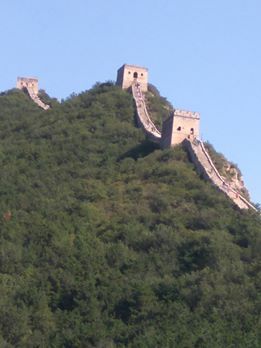 Beijing’s most popular stretches of the Wall, Badaling and Mutianyu, have been extensively reconstructed. While some welcome the opportunity to see the Wall as it would have been 500 years ago, others prefer to seek out more original sections. My family and I have recently made it to the Great Wall for the first time after 13 months in Beijing, and as is often the way we’ve ended up going twice in the space of a couple of weeks. Both times we visited sections where there’s been minimal reconstruction, more sympathetically handled. Our first trip was to Simatai. This lies near Gubei Water Town, and on arrival you will be encouraged to buy a ticket for both attractions. The Water Town is very pretty, but is almost entirely modern, having only opened in 2014, and is expensive at RMB 80 per person. If you just want to visit the Wall, you need to cross the street to the Simatai ticket office and take the shuttle bus, which whizzes you past the ersatz pleasures of Gubei to the cable car. Cable car tickets cost RMB 40. I’d recommend you buy a one way ticket and walk back down: having followed the Wall down for some distance, we then faced an exhausting trek back up to the cable car station. However, if you bypass the cable car altogether and attempt the walk up the mountain, you may find you have no energy left to explore the Wall when you get there! Even the climb from the cable car station to the Wall is quite gruelling. Once you arrive, the Wall at Simatai will take your breath away, literally and figuratively. The rampart follows the steep drops of the mountain, making progress both up and down challenging, particularly for children. It’s hard to believe the Wall here was ever really a defensive structure: in the unlikely event of an enemy attacking up the nearly vertical slope, the defenders would have had a hard job standing upright to resist them! However the views are stunning, and as a symbol of Ming dynasty power, it’s still impressive. If you want to take in all that Simatai has to offer, head upwards first. There are two watchtowers to see, although you can’t go all the way to the mountain peak. Then turn back and carry on down to the gorge, from where a path leads you back down to Gubei. Our second taste of the Wall was at Huanghuacheng. The name means “Yellow Flower Wall”, but in fall it’s all about the sweet chestnuts. The chestnut garden was originally planted by guards stationed at the Wall, and is now a mainstay of the local economy. 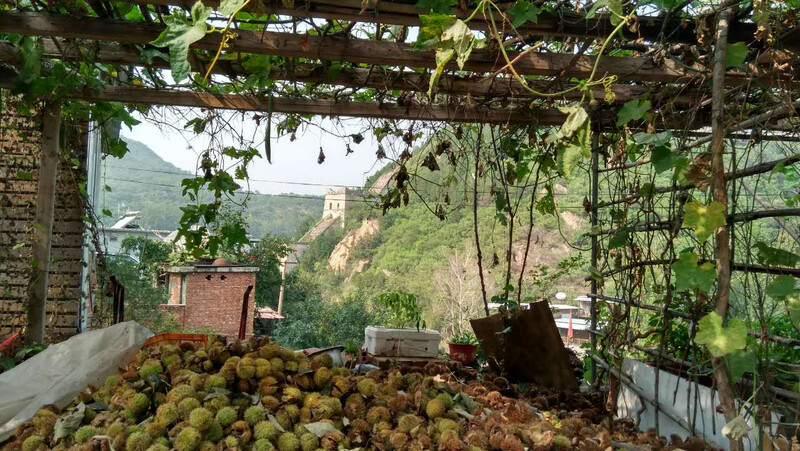 In many places here, the Wall can be visited without charge, as the locals seem more interested in making money from selling you chestnuts or serving you lunch. The valley here has been dammed, creating a lake which has submerged parts of the Wall. However, this has, if anything made the scenery even more dramatic. It is apparently possible to take a boat and view the Wall from the water, but we had limited time to explore. Regardless, it is well worth climbing the hills on either side for the extraordinary vista below. I was pleased, on finally making it to the Wall, to find parts of it unspoilt, and as impressive as its reputation suggests. The irony is that I found myself reluctant to recommend lesser known sections, and be part of the process of them becoming better known. The conundrum remains: how one of China’s greatest cultural symbols can be kept authentic without becoming dilapidated and overgrown; how tourism can best be managed and generate the funds for the Wall’s upkeep, without turning it into a theme park.